ABC1 has made further programming changes to its upcoming Sunday schedules. 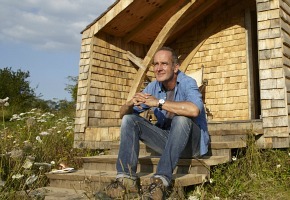 Restoration Home and Dream Build are out on Feb 10, replaced by Kevin McCloud’s Man Made Home at 7:30pm. New Midsomer Murders begins at 8:30pm after Upstairs Downstairs ends with a double episode this Sunday. Rev returns at 10pm. Plans to screen Call the Midwife and Adam Hills: The Last Leg on Sunday, 17 February are now out. @ Lyn. This Sundays ep is No. 5 so 6 has been delayed! Dunno why ABC are mucking about with only one ep to go!?! That is a commercial strategy! We do not see the full HD versions of these shows .Short changed in Sydney as we miss out on the original HD quality & get the low definition versions.Just seen in the UK the new Midsomer Murders & Lewis. Amazing detail in their UK tv system compared to ours. So clear with lots of depth & contrast. @ Lyn I have lost track of episodes too. Missing some due to Qld power outages! I think there may be one more left? Yay! for new “Midsomer Murders” Finally!! !